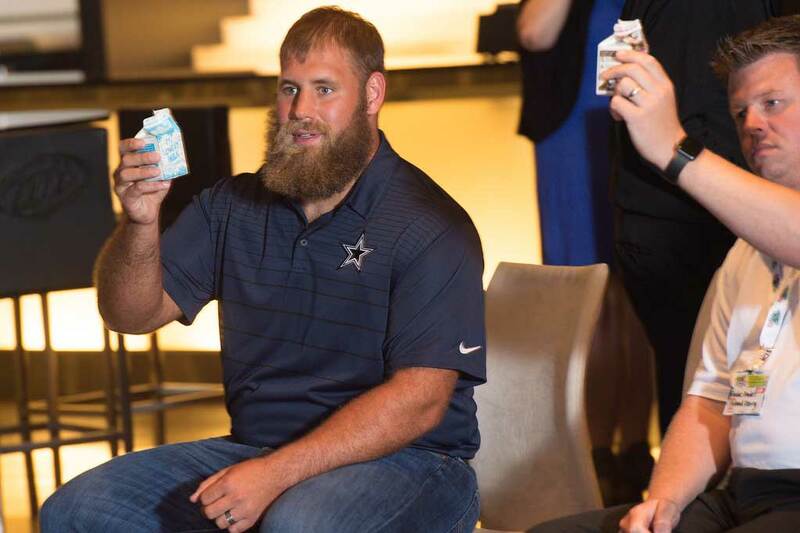 Dairy MAX is the official nutrition partner of the Dallas Cowboys. Not only do we work together in schools through Fuel Up to Play 60, we also sponsor the Fuel Up Training Table at the Cowboys headquarters at The Star, and help make sure science-based nutrition messaging is included in the tours. Plus, we pitch in on Cowboys community projects like the Moms Football Safety Clinic, and they pitch in on Dairy MAX projects like school breakfast programs. Guess Who’s the Official Nutrition Partner of the Dallas Cowboys? Brought to you by Dairy MAX, a nonprofit affiliate of the National Dairy Council, funded by dairy farming families across Colorado, southwest Kansas, Montana, New Mexico, western Oklahoma, Texas and Wyoming. For more dairy insights and programs tailored specifically for schools, nutrition professionals and dairy farmers, visit our corporate web headquarters, DairyMAX.org. © Dairy MAX, Inc. All Rights Reserved.